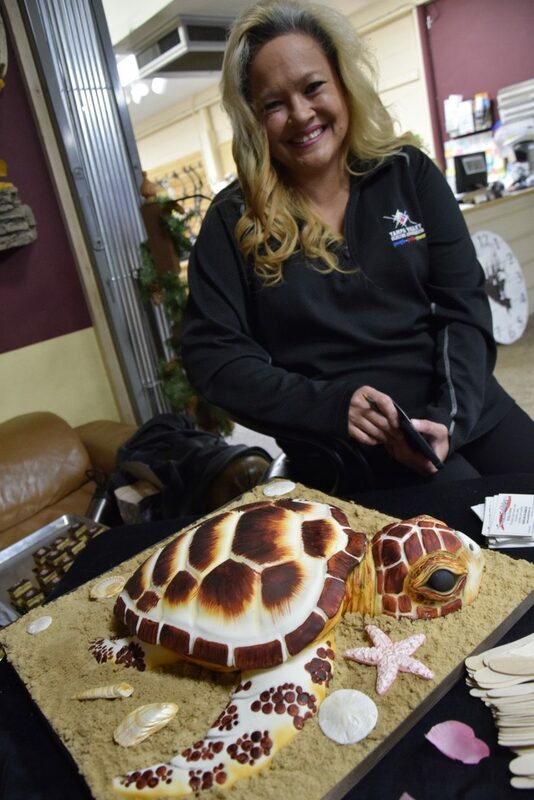 Shirley Cromer of Sweet Edibles in Craig shows off her edible sea turtle cake inside Pack Center Shipping during Art Walk, Taste of Chocolate. 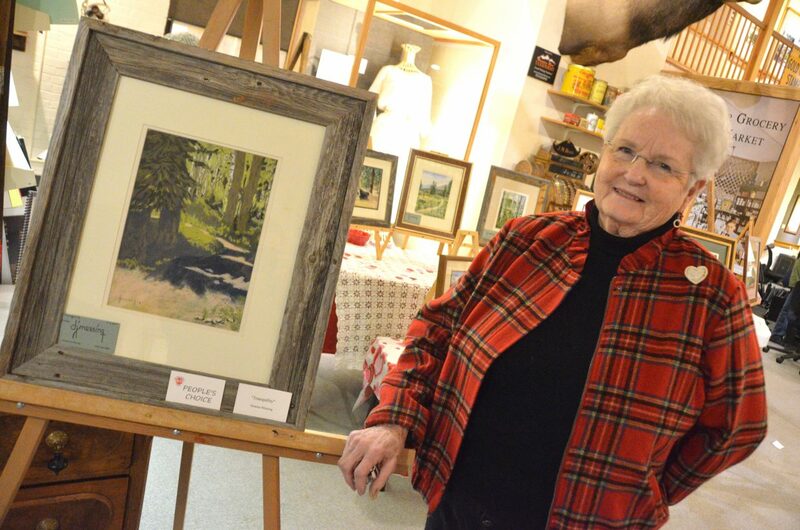 Deanna Messing displays her nature pastels at Museum of Northwest Colorado during Art Walk and Taste of Chocolate. 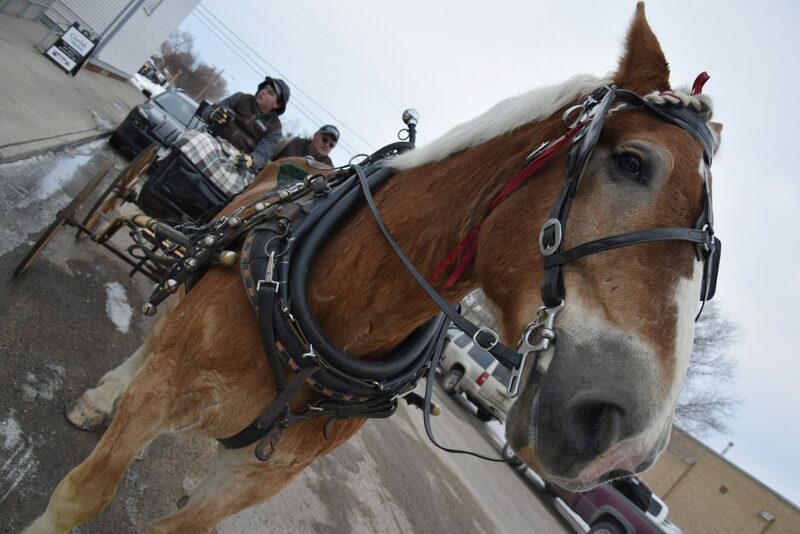 Mac the 15-year-old Belgian waits for carriage riders with Garret, left, and Mike Anson at the reins. 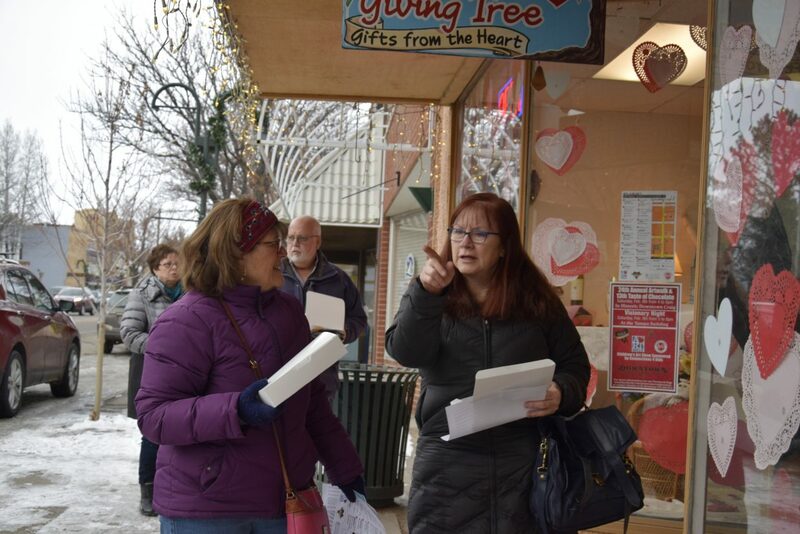 Cindy Morris, left and Karen Chaney walk out of Giving Tree during Art Walk and Taste of Chocolate. 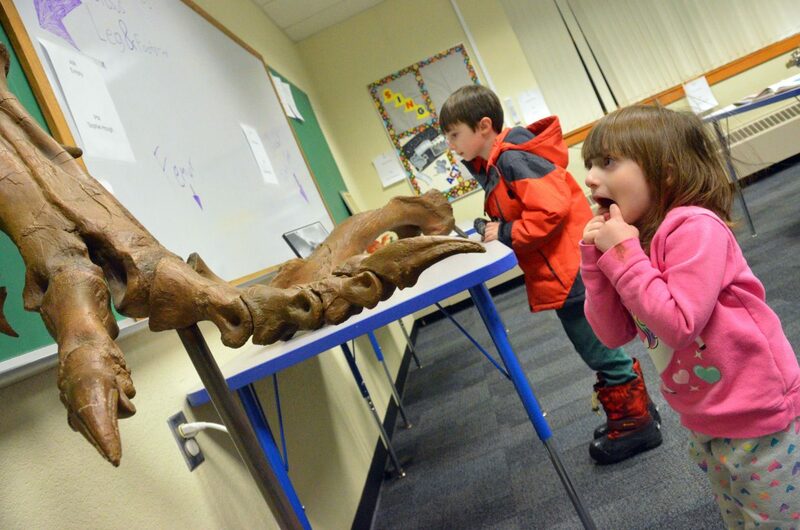 Aly, 3, and Gabe Bergstrom, 6, marvel at Colorado Northwestern Community College's paleontology pieces at Northwest Colorado Arts Council's Visionary Night. 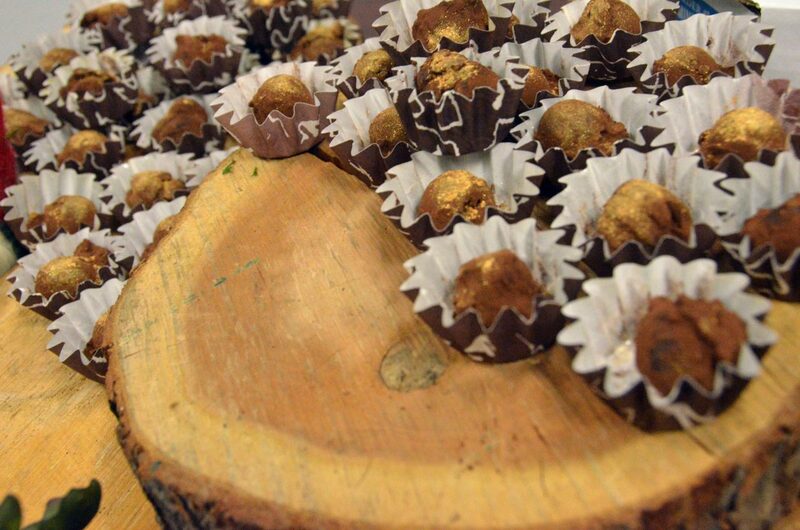 A selection of chocolates are ready for consumption at Northwest Colorado Arts Council's Visionary Night. 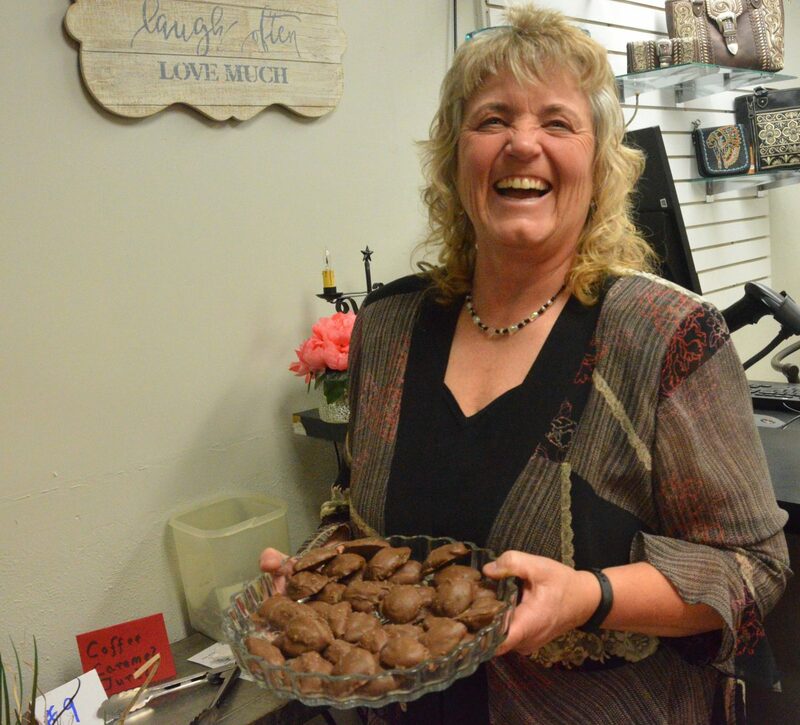 Rena Olsen chuckles as she offers up a plate of coffee caramel turtles as part of Art Walk and Taste of Chocolate in Sweet P's. 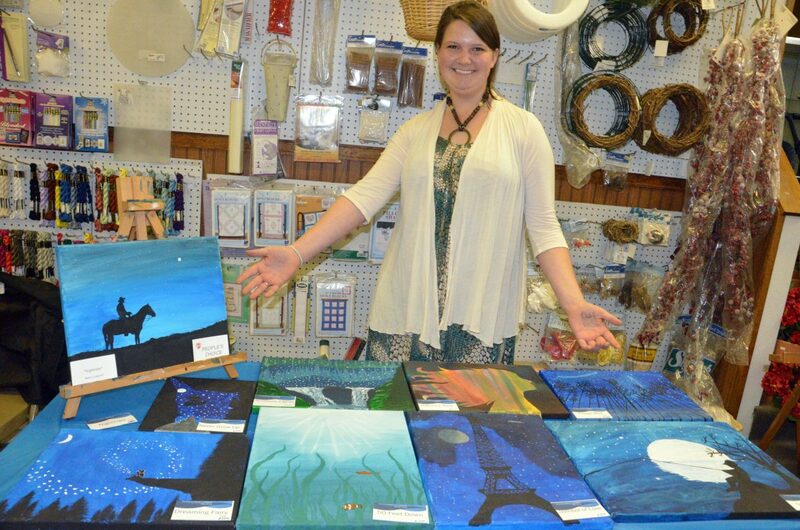 Mercy Longwell shows off her acrylic paintings during Art Walk and Taste of Chocolate in Sweet P's. 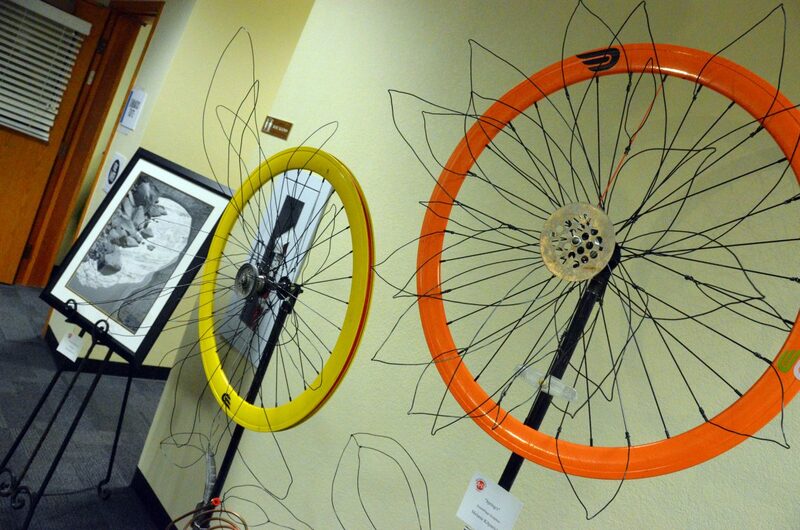 Items of all forms are on display at Northwest Colorado Arts Council's Visionary Night. 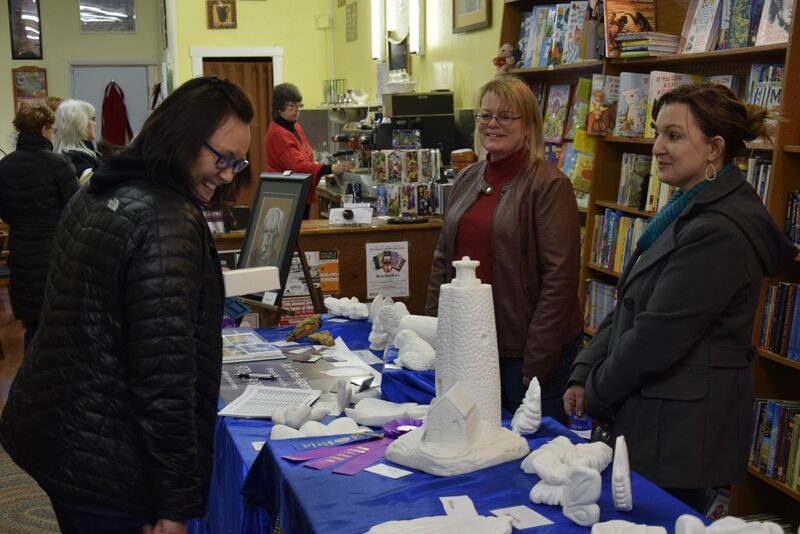 Laurie McDermott (center) shows off her Art in the Aspen marble carvings carved from Colorado marble at Art Walk and Taste of Chocolate. 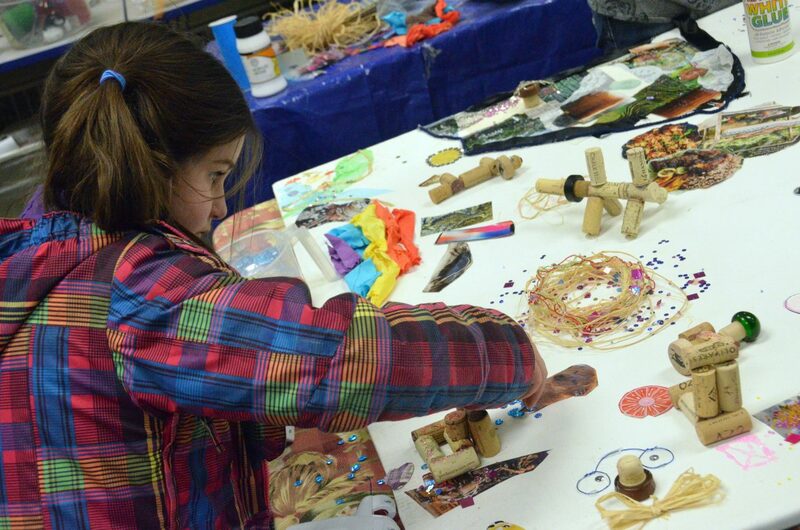 Grace Moretz puts the finishing touches on her portion of a community collage at Northwest Colorado Arts Council's Visionary Night. 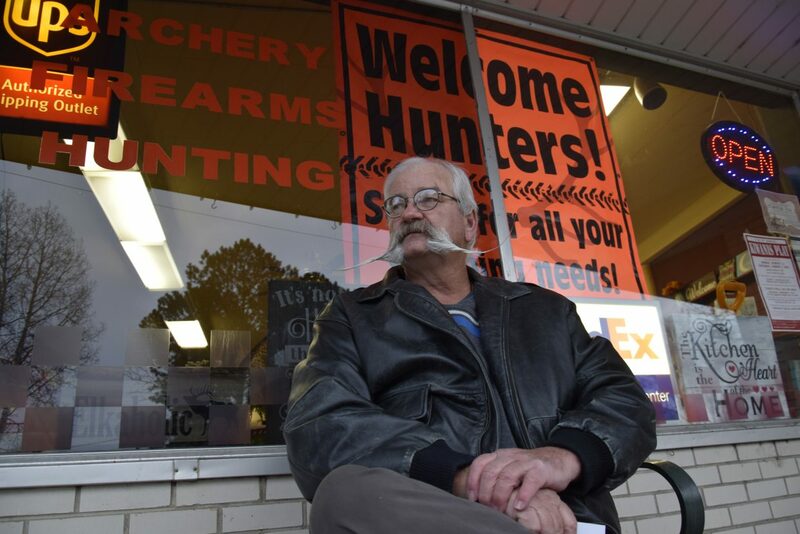 Lifetime Craig resident Zane Olsen takes a rest outside Pack Center Shipping during Art Walk nad Taste of Chocolate. 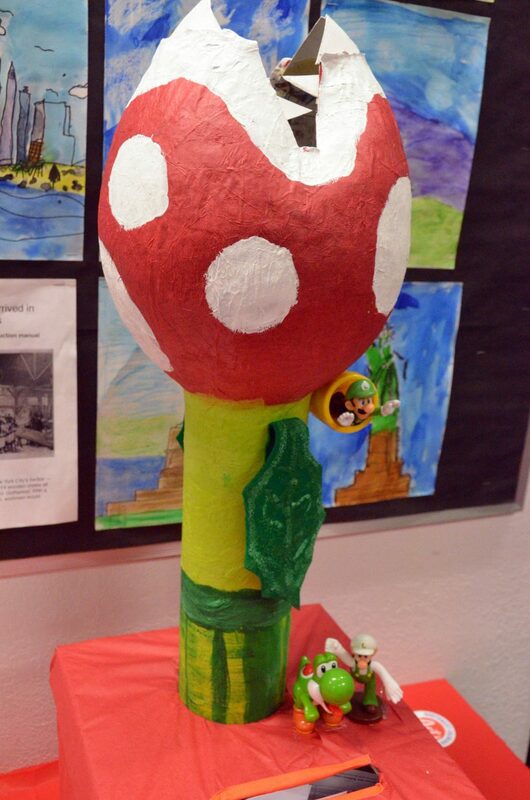 A Nintendo-themed sculpture is among the works at Northwest Colorado Arts Council's Visionary Night. 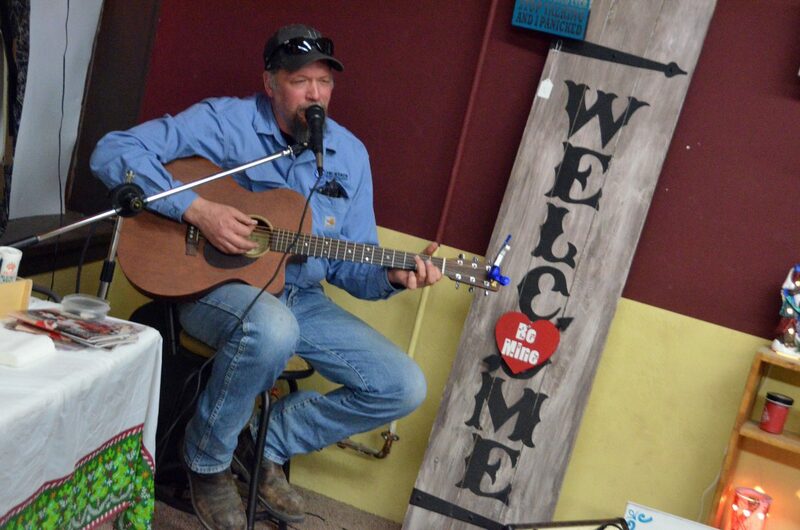 John Pitha performs for patrons at Pack Center Shipping as part of Art Walk and Taste of Chocolate. 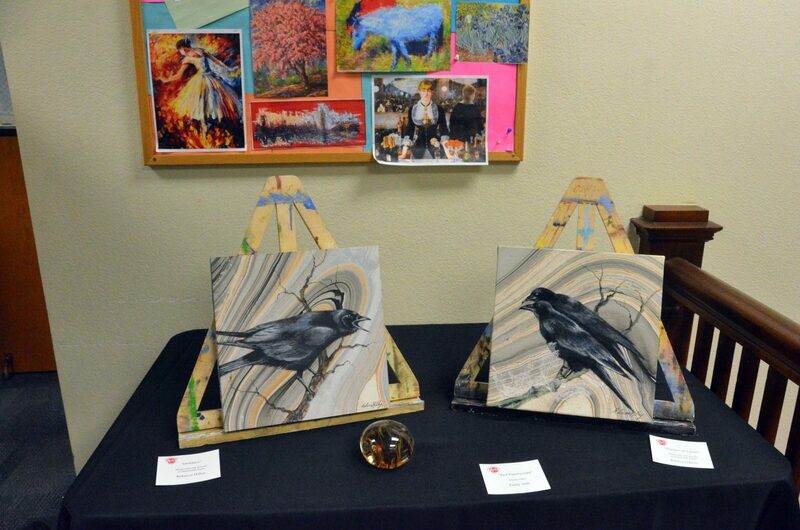 Paintings, photography and more are part of Northwest Colorado Arts Council's Visionary Night. 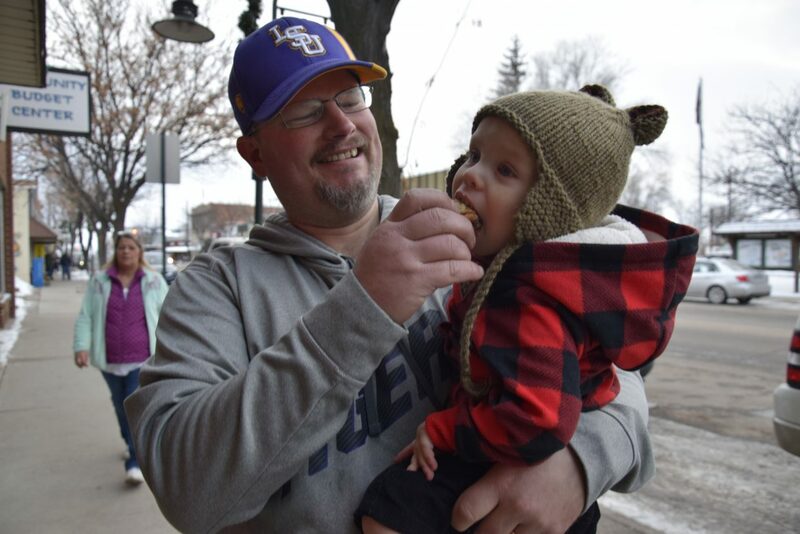 Kurt Fontenot feeds Christian Fontenot, 1, a tasty treat outside Craig's Community Budget Center during Art Walk, Taste of Chocolate. 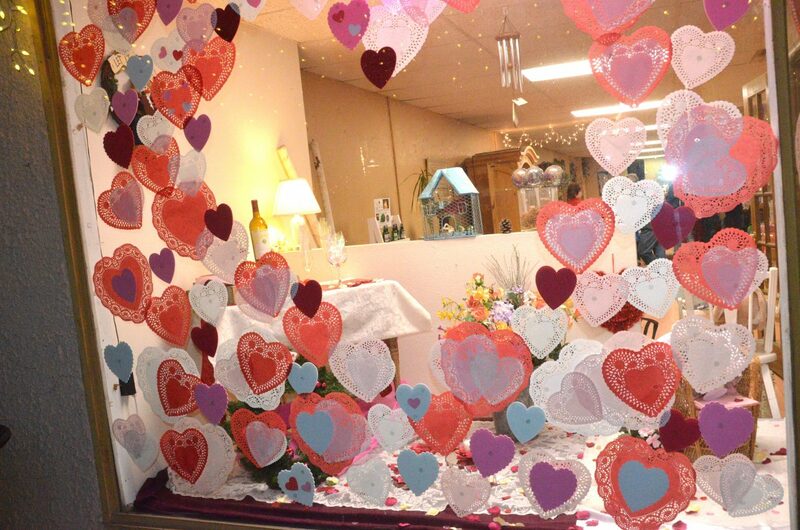 A Valentine's Day facade suits the front window of The Giving Tree during Art Walk and Taste of Chocolate. The art world is always evolving, so it stands to reason anything celebrating creative expression would do the same. 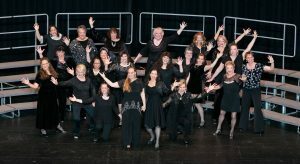 Downtown Business Association’s 24th annual Art Walk and 13th annual Taste of Chocolate offered familiar fun along with an expanded scope Saturday night. 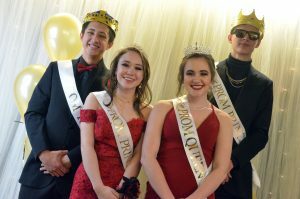 The yearly showcase of downtown Craig shops, local artists, musicians and confectioners provided patrons a stroll along Yampa Avenue to take in the sights, sounds and tastes of all the event had to offer across more than a dozen locations along the promenade. 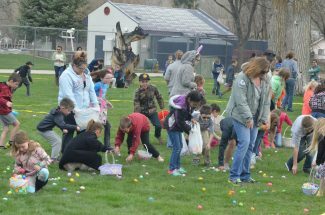 Taste of Chocolate winners included first place for Shirley Cromer’s opera cake at Pack Center Shipping; second place for Delaney Brown’s chocolate raspberry cream cheese brownies at Ringer Athletics; and a tie for third place between Shamree and Ashley Moon for their chocolate chip chocolate baklava at Community Budget Center and Tyler Bridges’ chocolate truffles at Favorite Things. 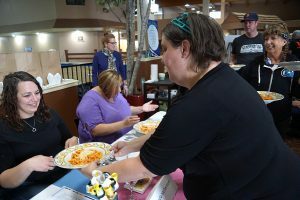 Besides businesses serving as a venue for chocolatiers and music-makers, a soup dinner fundraiser at Museum of Northwest Colorado was caddy-corner from Connections 4 Kids’ Cherish the Little Things Art Show at Center of Craig. 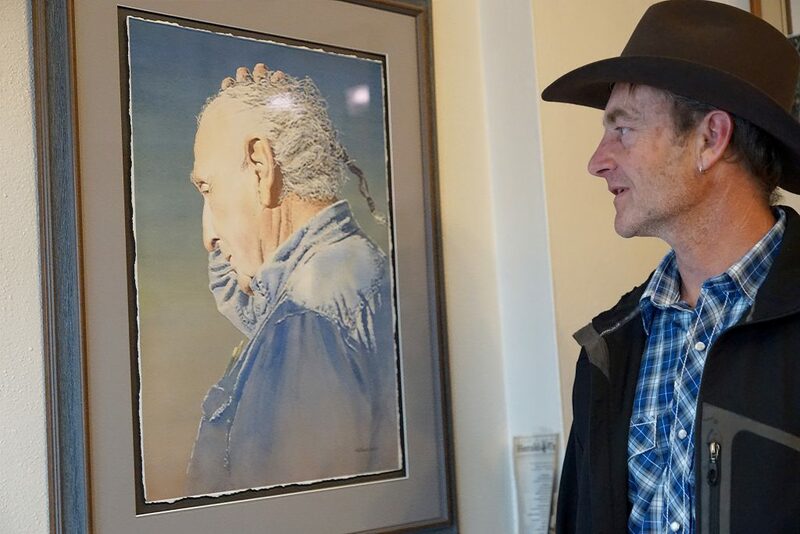 With the help of a horse-drawn carriage providing transport courtesy of the Anson family, the event grew a little more with the addition of Northwest Colorado Arts Council’s Visionary Night at the Yampa Building, complete with workshops, displays and more provided by local artists. Ariane Caldwell of Artwork by Ariane took People’s Choice among artists for a piece inspired by Tupac Shakur.